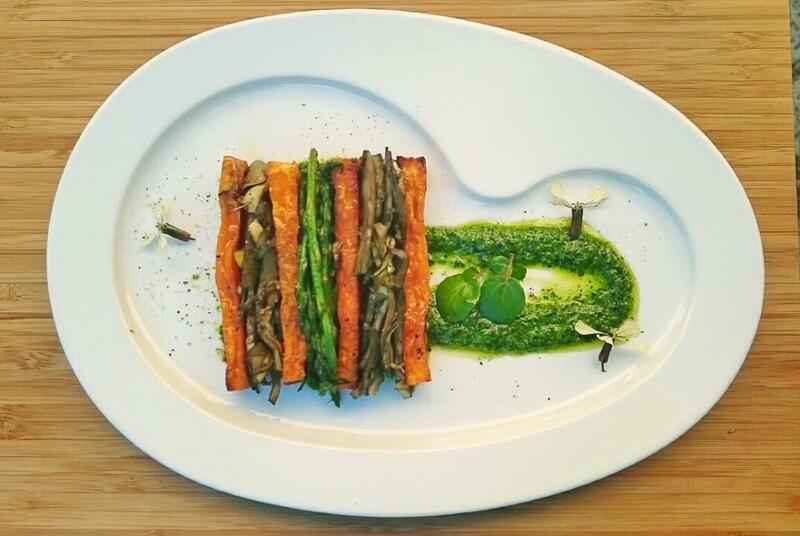 Vegan rocket pesto with asparagus, artichokes and sweet potato. You already know that I don´t like the stereotypes and labels that can classify people or anything in particular. But sometimes they are very helpful to help define a thing without having to explain what it means. Vegan. For those of you who are not familiar with this term, it implies that it doesn´t contain any animal product. It doesn´t only refer to meat or fish, but also to dairy products or eggs. Even honey would be excluded. That is, any food which doesn´t include any type of animal influence, animal by-product or animal residues would be labeled as vegan. I don´t know if you have read the intro of the blog, but although I am neither vegan, nor vegetarian, I firmly believe that we should reduce the consumption of animal products and favor of the vegetable world. Our bodies needs it as well as our environment. Nowadays the cattle industry is one of the most contaminating one. The vegetable world has been left in the background with a considerable increase in the production of meat and dairy products. I don´t reject them but I do reject their unsustainable practices and the animal suffering they involve and I don´t agree with their omnipresence in our daily diet. It is time to change the balance. I have been trying to change that for several years and I can assure you that my energy levels are significantly better. My diet and my family´s diet has been increasing little by little the proportion of vegetables, legumes, seeds and nuts, whole cereals, seaweeds…and reducing the intake of meat and dairy products. That reduction also implies that the animal products we consume are always organic and of the highest quality. And I have to say that without forcing anyone, the rest of the family will surely follow your example and will also end up feeling the benefits. And this is being said by a woman “married” to a French= cheese, cream, crème fraiche, meat…Luckily our familiar and culinary education was already in love with the vegetable world, but I must say that the vegetables were always a side dish, not the main dish of the menu. 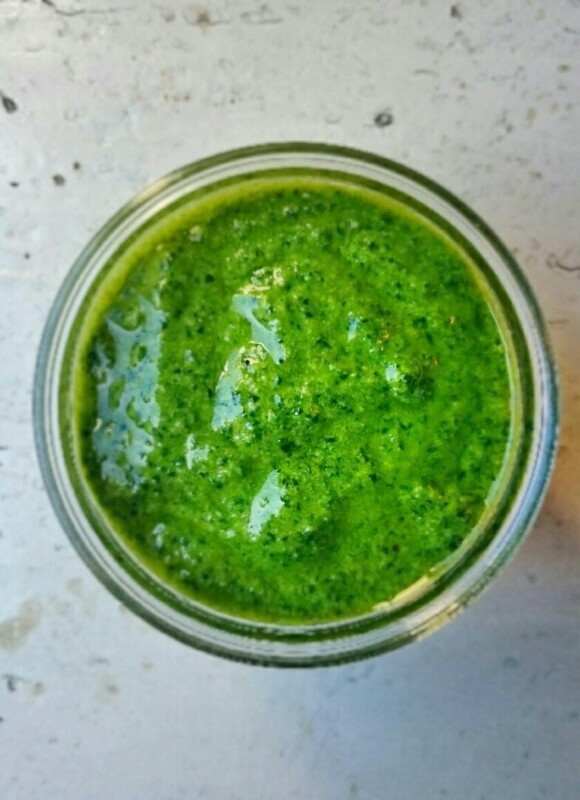 With this said, and in that search for new alternatives to help us change that balance, I would like to share with you this pesto recipe, which I make with rocket but that you can definitely replace with basil in the season. The side dish I propose here is a simple association with the seasonal vegetables at that moment. But you can definitely use these vegetables or any other one, roast them, put them in a tray and accompany them by pesto, or if you want it to be more consistent, you can also serve it with a bit of rice, pasta or even with a potato salad. It is a perfect way to add green seasonal vegetables to your food. And like always remind you, ALL POWER TO THE IMAGINATION!. You can use any kind of nuts and replace the green vegetable with any other tasty one, or even make a pesto with blanched broccoli! Hope you like it! I am sure you will surprise the whole family! Mix the rocket in a food processor, and add the rest of the ingredients till you get a sauce with a beautiful green color. It doesn´t have to be completely flat. Peel and cut the sweet potato into rectangles of 10 x 2 cm. This is completely optional, do it only if you want to get the same result than in the picture. Roast them with a little bit of oil, salt and pepper at 200º for 20 minutes or until you see that they are starting to get brown. 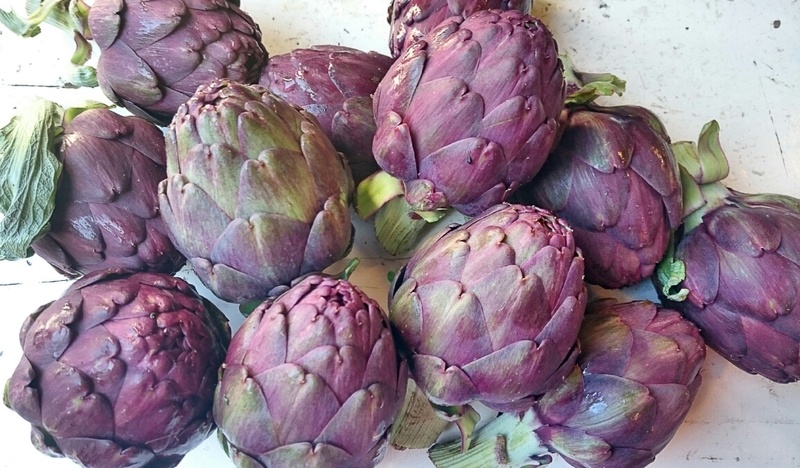 Clean the artichokes, cut them very thin and stir them fry with a little bit of olive oil and a clove of garlic. 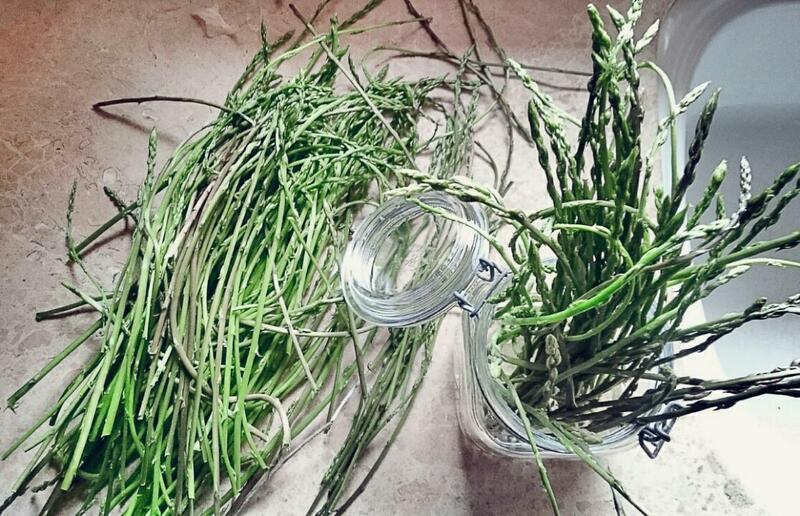 Do the same with the asparagus but make sure they are "al dente". In a plate, put in one of the sides one spoonful of pesto and drag the pesto from the center till the opposite side with the downside of the spoon. Place alternately the sweet potato, artichokes and wild asparagus and sprinkle a bit of pepper, a stream of oil and the flowers. It doesn´t need to be very hot, warm is also delicious. You can keep the vegetables inside the oven at 80º/100º till you are ready to put everything in the plate.